Home / Blog / The Scullery – Is It Here To Stay? The Scullery is certainly not a necessity, but if you have the space, it could it be the answer to all your clutter. With many requests from homebuyers, we’ve started incorporating this clever feature into many of our home designs. What was previously seen as a luxury and only standard in big, old, English manor homes is now becoming recognisable around Perth homes. The scullery is an additional room or alternative space for the preparation of food and drinks, plus additional kitchen storage – it often contains a second sink and usually the less used appliances. Located behind or alongside the kitchen and typically adjacent to the laundry, this convenient space is a practical place whether it be for storage, additional prep counters, or simply keeping the mess and mayhem contained and out of guests site. The kitchen is becoming the hub of the home, the perfect place to congregate as a family, during prep, dining and clean-up. This has changed a lot over the years… Culinary-focused activities have lead to the re-design of the kitchen itself, leading to more space and more open-plan features. It is also more common to have guests socialise in the kitchen while the host multi-tasks, and although this is great, sometimes it is nice to be able to hide a few things as you go… hence the scullery. Washing up and general culinary chaos can now be kept behind closed doors. It also allows for a crisp, clean kitchen counter top without all the appliances – there’s no need to keep your blender, toaster, juicer all on show if you don’t use them everyday. 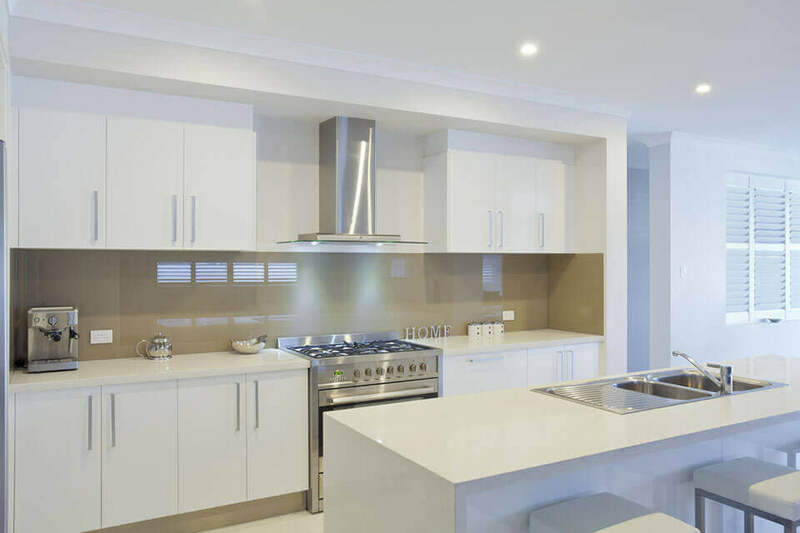 Having less need for under-sink storage and counter top space in the main kitchen also means you have more space for features – upgrades such as larger ovens, double fridges, or wine cellars can take their place. So sculleries are no longer only deemed for the rich and famous… in fact, they are well within reach of today’s Perth homebuyers. The Pulse is a fresh, modern four-bedroom, two-bathroom design suitable for a 12.5 block and the perfect example of how the scullery can make all the difference. Tucked in between the kitchen and the laundry and complete with walk-in pantry, it allows you to make the most of open-plan family living and entertaining, with the added benefit of a little extra privacy. The Glendale offers a clever floorplan that ticks all the boxes. This home design has it all, including a scullery. It might only be small, but it provides the extra storage and counter space you need to keep your home looking its best. So why not add an element of the unexpected, impress guests and make your life easier with a scullery? GO Homes have many affordable, beautiful home designs to choose from. The decision to spend your new home budget with a builder who offers standard level inclusions, or to go with one who offers premium inclusions, can be tricky. When you have a beautiful new home, it’s natural to want to show it off with stylish furniture and interior design. Why Choose A Home With Inclusions? Before getting started, find out what's standard and what are optional extras - inclusions can save you time and money in the long run.